^ Livy. The history of Rome. George Baker (trans.). Printed for A.Strahan. 1797. ^ Livy. 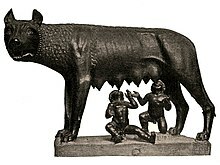 The Early History of Rome. Penguin Books Ltd. 2005-05-26. ISBN 978-0-14-196307-5.